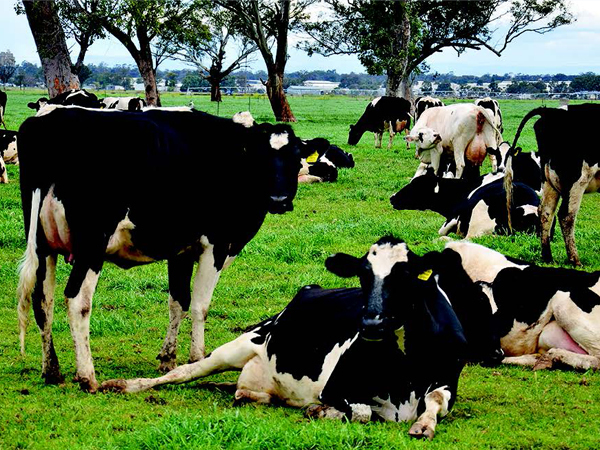 Directly employing almost 40,000 and producing 9.7 billion litres of milk a year, the Australian dairy industry is undoubtedly a major linchpin of Australia’s agriculture sector. And as with all elements of agriculture, sustainability is a key concern for dairy farmers, not just as a means of managing land, but ensuring that their businesses are equipped to respond to a variety of challenges, including climate, extreme weather, energy costs and soil health. Now in its third year, the Lion Dairy Pride Landcare Grants Program is helping Lion’s dairy farmers address some of those challenges by funding projects which address reducing energy use, improving nutrient management or increasing biodiversity. Dairy Pride is helping dairy farmers look at the health of their operations. To-date, the grants have funded the installation of variable speed controlled pumps in a number of dairies, resulting in energy savings of between 35 percent and 75 percent. Biodiversity has been increased through some farm projects, including one undertaken by Richard Smart and Trina Hole in Tasmania, which saw waterways and paddock corners fenced off, and the planting of over 400 native trees and shrubs. These will eventually be established as shelter and shade breaks, resulting in increased grass production and a reduction in plant stress. Queensland farm Wilson Plains was another enterprise that received funding. Operating across 300 acres with 460 milking cows producing 1.5 million litres a year, in 2016 the farm used a Lion Landcare Grant to install energy efficient solid set sprays to move water around the property. This facilitated the irrigation of some marginal country with underground water to stimulate grass growth, resulting in a major increase in feed for livestock and a 65 percent reduction in ‘cut and cart’ feed that needed to be purchased. As well as offering these grants, Lion has recently launched its new Dairy Pride Program, an online portal allowing its 400 dairy farmers to use an assessment tool to see how their operations measure up in five key areas: milk quality, animal welfare, people, community and wellbeing, the environment, and business management. Lion Dairy & Drinks Agricultural Procurement Director, Murray Jeffrey, spoke to Landcare in Focus about Dairy Pride and how Lion worked with dairy farmers and industry to develop the program. “Our farmers have been partners in developing this online tool from the start. Before we launched, we selected 20 farmers to give us feedback, and following their advice, re-engineered some of the programs to suit certain aspects,” he explained. In an industry where challenges are abundant and demand for product is increasing, initiatives such as Dairy Pride, which help farmers take an in-depth look at the health of their operations and offer real tools and knowledge on how to improve it, are going to become increasingly important.